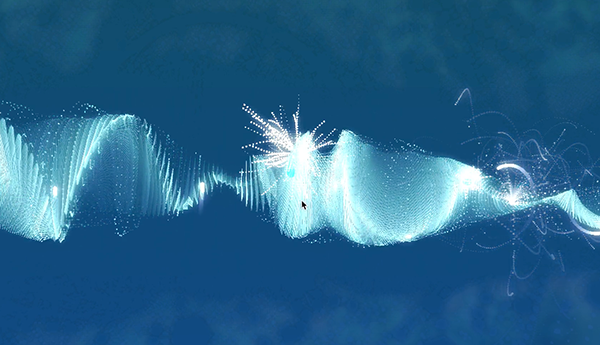 Sound Collider is an OpenFrameworks project, that combines visual effects and sound. 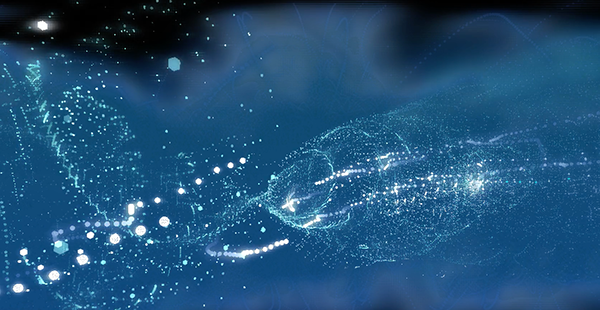 It depicts a connection between a piece of music and its visualization. My goal was to mimic the collisions in the video, replicating the way the audio responded to these collisions in my own way. 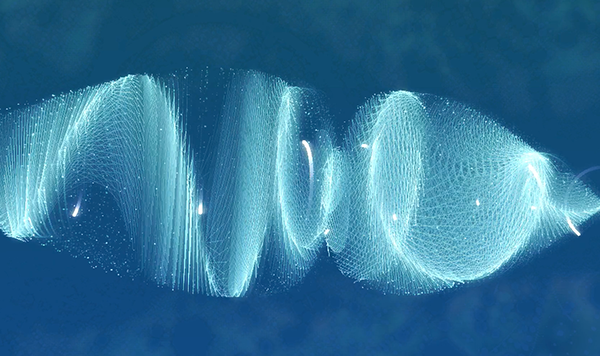 There are two particles interacting with each other - a spiraling wave made out of turquoise spheres, and another one set of spheres (white ones) floating around the wave. The positions of white spheres is set up randomly, so that they could touch turquoise line at its different parts and moments. The moment when the two sets touch each other triggers a random note, so that they create some sort of music. 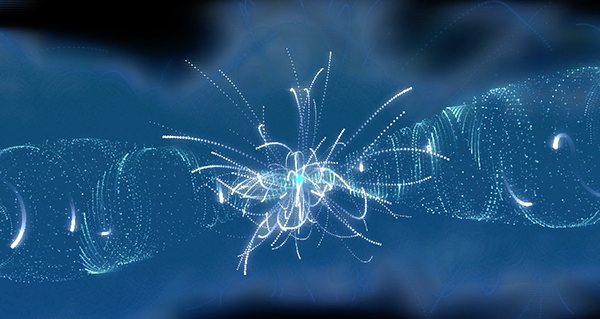 There are 8 different types of sounds, which appear in a random order every time the floating spheres collide with the main wave. 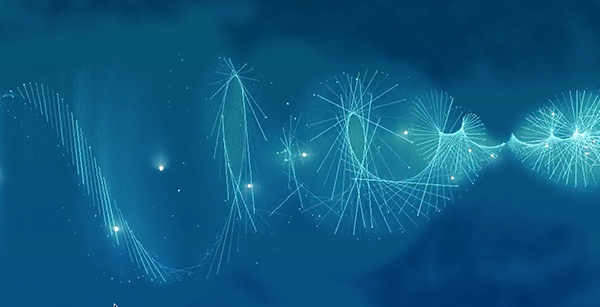 Sound Collider is a creative coding project which integrates sound and motion. 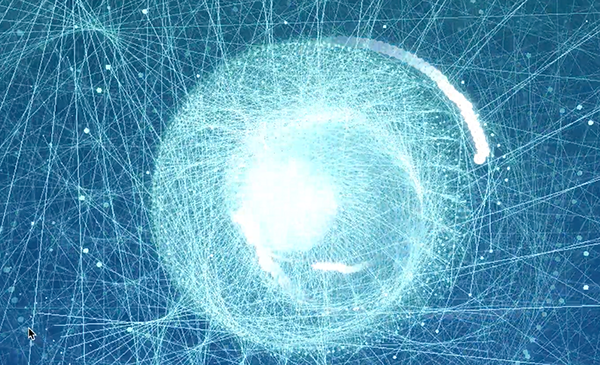 Written in C++, it visualizes and marks collisions of two different particles.